Are you an enthusiastic and ambitious Young Carer aged 13-18 years who would like to take part in a brand new project where your salary is pizza and your bonus is organising days out for your team? 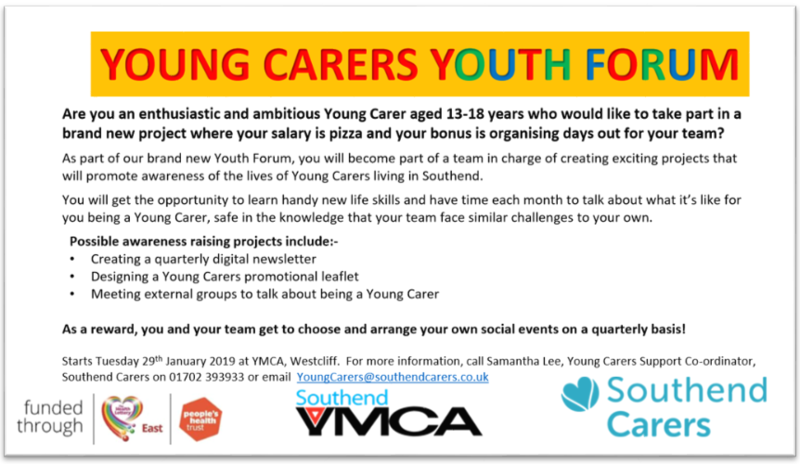 As part of our brand new Youth Forum, you will become part of a team in charge of creating exciting projects that will promote awareness of the lives of Young Carers living in Southend. You will get the opportunity to learn handy new life skills and have time each month to talk about what it’s like for you being a Young Carer, safe in the knowledge that your team face similar challenges to your own. As a reward, you and your team get to choose and arrange your own social events on a quarterly basis! Starts Tuesday 29th January – this is a MONTHLY club on the last Tuesday of each month.